Here's a new primitive frame (9 x 13) that I remade for my craft room. I painted the frame a "distressed" black and made the insert from red ticking and burlap. ...one of my homemade buttons cards. A mini clip makes this a changeable frame -- add a quote, Scripture, or change the photo from time to time. Here my new frame hanging on my craft room wall. Very nice! I've been looking for something similar to go in my dd's room. I never thought of making my own, for some crazy reason. Thanks for the inspiration! Great job! I love it! TFS! Hello, This was really very cute! I have been collecting some old frames for just an idea like this! I need to sew some new kitchen curtains and I have the job now to find just the right fabric for a french country look! Loved your inspiration today! You have a very lovely craft room, and the frame is nice. 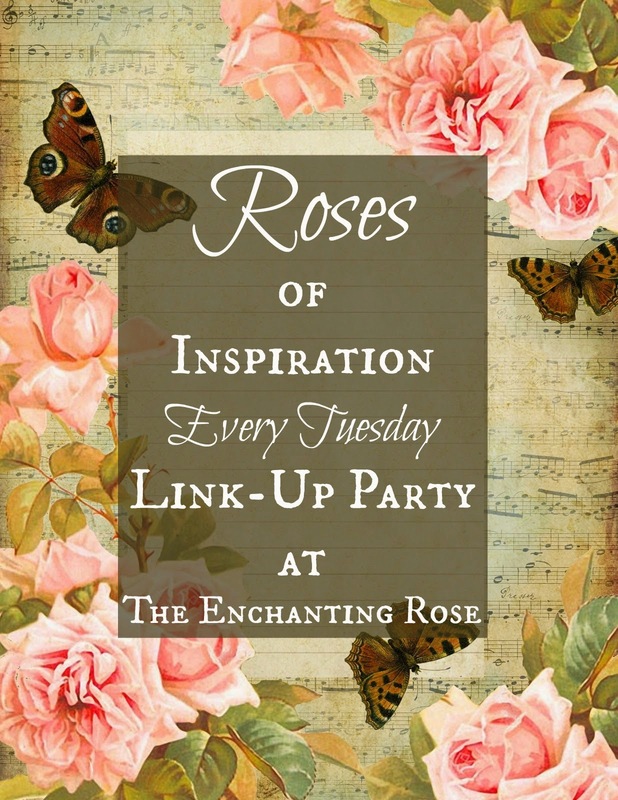 Thanks for sharing at Roses of Inspiration! Blessings to you! That is adorable. I love it!